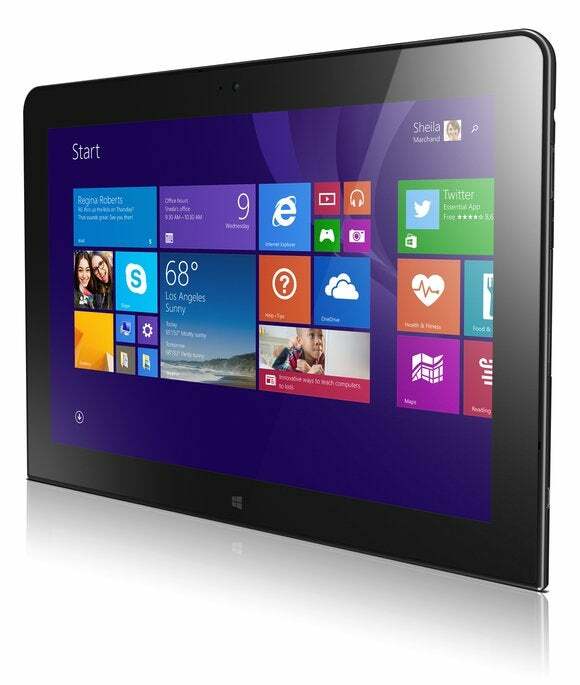 Lenovo has taken the wraps of its ThinkPad 10, an all-new 10-inch tablet based on Intel’s quad-core Atom Z3795 processor. 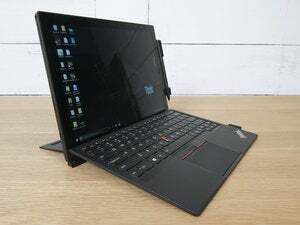 The ThinkPad 10 will ship with the 64-bit versions of Windows 8.1 and Windows 8.1 Pro, which could render it more attractive to the enterprise looking to standardize on 64-bit apps and images. The company gave us an embargoed sneak peek last week. Lenovo will offer two keyboard covers for the ThinkPad 10. The Ultrabook cover is shown here. The ThinkPad 10 will have a 10.1-inch IPS display that offers 10 touch points, native resolution of 1920x1200 pixels, and an active Wacom digitizer—a feature missing from Lenovo’s smaller ThinkPad 8. The tablet will ship in models with either 2- or 4GB of memory and either 64- or 128GB of storage. I/O ports are par for the course: Micro HDMI, one USB 2.0, and a MicroSD card slot for additional storage. 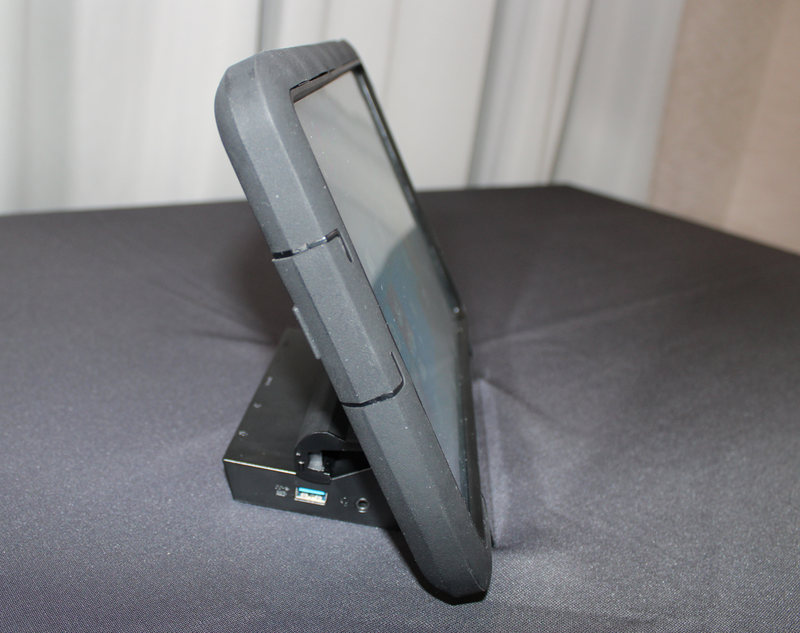 But the ThinkPad 10 also has a port that allows you to connect it to a desktop docking station that will convert the tablet into a small all-in-one PC when you add a mouse and keyboard. The rugged cover, shown here with the ThinkPad 10 plugged into Lenovo's optional dock, is designed for applications where a clipboard and paper might otherwise be used. Lenovo’s newest tablet will have a two-megapixel camera in front, and an 8MP camera in back. Both cameras will deliver 1080p resolution. Lenovo plans to offer a 10-inch version of its Quickshot cover ($59), which puts the tablet into camera mode when you fold down a corner to expose its rear camera, and a ruggedized case with a handstrap on the back for deployments where a clipboard and paper might be used. Lenovo will also offer two keyboard covers: The Compact Bluetooth keyboard, $119, will have touch-sensitive keys, while the $129 ThinkPad 10 Ultrabook keyboard will have short-throw mechanical keys. 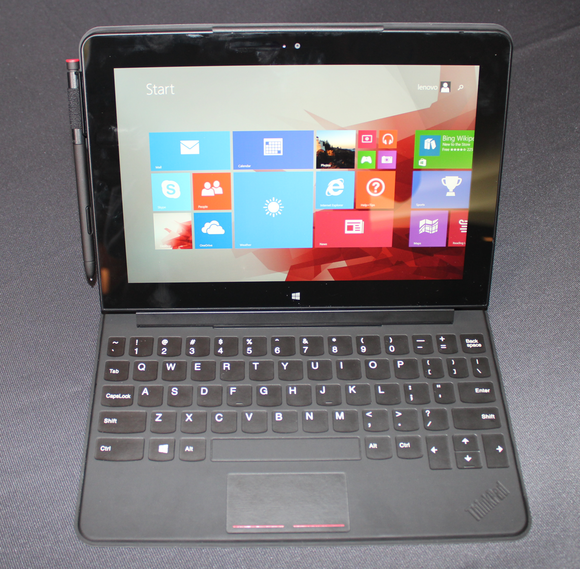 Lenovo expects the ThinkPad 10 to be available in June, with prices starting at $599.